Need more information about booking Home 7292466 ? In the centre of Zaandam city, a historic detached two-floor house, very nicely renovated, available. Visitors have the whole house at their disposal. It has about 70 m2, spread over two floors. The living room, shower and toilet are on the ground floor. The kitchen and the bedroom are on the first floor. The kitchen is fully equipped with microwave, dishwasher, stove, water kettle, coffee machine etc. There is one double bed, one single bed and a baby cot in the bedroom. One of the two sofa's in the living room can also be used as a sofa-bed. 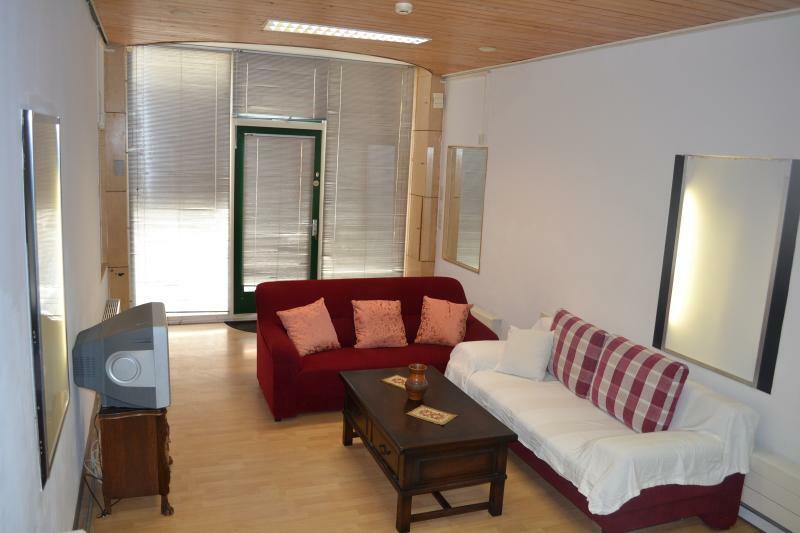 The house is very conveniently located for an Amsterdam city trip as well as a tour in the Zaan region. You find everything you need within arm's reach. You are in the middle of the Zaandam city centre with plenty of shops, supermarkets, bars, restaurants etc. Just behind the building, literally steps away, there is the Tsar Peter Museum. Another plus is the public transportation. The train and the bus station are a 5 minutes’ walk away and Amsterdam is about 12 minutes by train. One of the most popular touristic attractions on a Dutch tour, 'Zaanse Schans' with a row of beautiful windmills, can be easily reached by train or bus within 10 minutes. We love it here, and we hope you do, too. No smoking and NO DRUGS. We ask 100 euro's as deposit! You can get in touch with Arzu (the owner) through the contact form on this page. Send Arzu (the owner) an email through the contact form on this page. Alternatively, if there’s a phone number on this page, you can call them. How do I contact Arzu (the owner)? If you’ve already booked, go to Manage your holiday booking to view Arzu the owner's contact details or send them a message. Or send Arzu (the owner) an enquiry through the Contact the owner/manager form if you’d like a quote or more info first. When you pay online through the Book your stay form, a booking request is sent to Arzu (the owner). You’ll find out within 24 hours whether they’ve accepted - no money will leave your account before then. You can also request a quote from Arzu (the owner) through the contact form. The owner will email you the total cost for your dates and a link to book and pay online. Use the Book your stay form to pay provisionally online. You can pay by credit/debit card or PayPal. Arzu (the owner) will have 24 hours to accept the booking and no money will leave your account before then. Why can't I call Arzu (the owner) before booking? You’ll need to contact Arzu (the owner) to do this. Send them a message in Manage your holiday booking or through the contact form on this page. You can request to change the dates or number of people on your booking via the Manage your holiday booking page. To change your holiday dates use the Edit booking button. If you need to change the number of guests staying then send Arzu (the owner) a message. If Arzu (the owner) agrees, they’ll send you a revised quote outlining the changes. You can review and accept/decline this from the Manage your holiday booking page. You’ll have 48 hours to take action before the revised quote expires.